A family is torn apart by fierce belief and private longing in this unprecedented journey deep inside the most insular sect of Hasidic Jews, the Satmar. Aside from reading some Chaim Potok back in high school, as well as Night by Eli Weisel, I have really not read a lot of fiction books in the past where religion, and specifically Judaism, play a huge role. 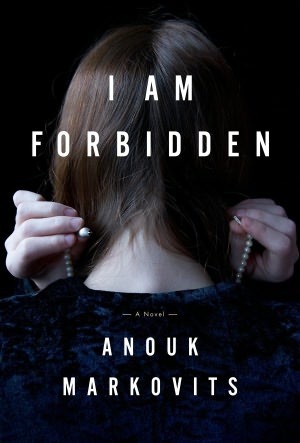 However, after seeing I am Forbidden show up as a highlighted book on goodreads, as well as on another website, I was intrigued enough to pick it up. Words can’t really describe how much I enjoyed the book, as well as how much I learnt from it. While I had heard of the Hasidic sect of Judaism before, I had never heard of the Satmar’s which is a movement within the Hasidic branch. The majority of Satmar jews come from the Hungarian/Romanian part of the world and many were Holocaust survivors. The book itself, started off in Romania during World War 2, followed the Stern family to Paris where the majority of Mila’s (one of the Stern daughters) takes place and then travels to Williamsburg (in New York, not Virginia, like I was expecting), when Mila Stern marries Josef. There was so much detail about life in a Satmar household, that a simple book review cannot cover it all. From the preparations that a woman goes though when she gets her period, traditions governing wedding night protocal and so many other glimpses into the daily life. It came of no surprise to me, when I read the brief bio of the author on the dust-cover of the book, that she grew up in a Satmar household and then left when she was 19. As a reader, following this discovery, I had to wonder if she had modelled any of the characters on her family, whether Atara (Mila’s sister) was supposed to represent her in some form. I would recommend this book to anyone who is interested in learning more about Judaism as a whole, as well as the various movements within. As well as anyone that is looking for an intriguing family saga that encompasses over 50 years of living and multiple generations. The writing style is easy to get sucked into and I had a hard time putting it down.